So the whole idea of using yeast and kneading and getting the bread to rise has always intimidated me, so I like to make bread that doesn’t require any of that. And beer is always great, so I was very excited to try this recipe. It scared me a little that there really aren’t that many ingredients, but don’t worry – the bread was amazing. It’s a really hearty bread that’s great for the fall. I got the recipe from the blog How Sweet It Is, which has a lot of great recipes. Preheat the oven to 375 degrees (Fahrenheit, idk if any of you are working in Celsius but you can figure that one out). Stir together in a large bowl all-purpose and whole wheat flours, then add the baking powder, salt, and cheddar cheese and mix. Pour in your beer of choice and stir (the batter will be thick). 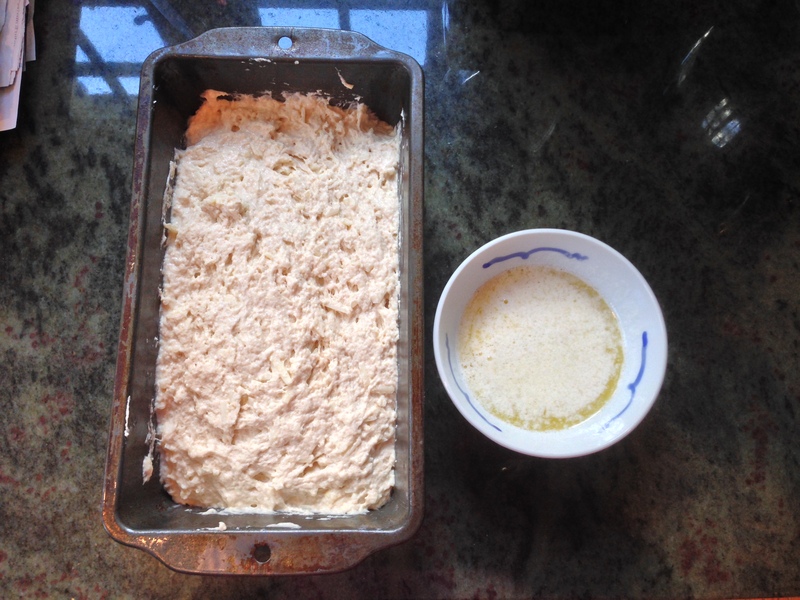 Grease a 9×5 loaf pan with nonstick spray or butter (not the butter for the recipe, just extra that you have) – just make sure that the bottom and all of the sides are well covered. 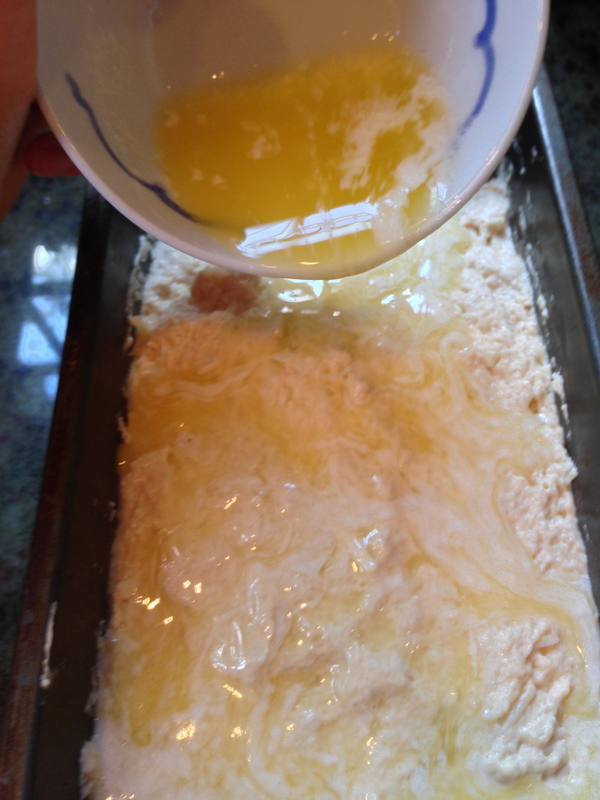 Put all of the batter into the pan, then pour the melted butter over the top. 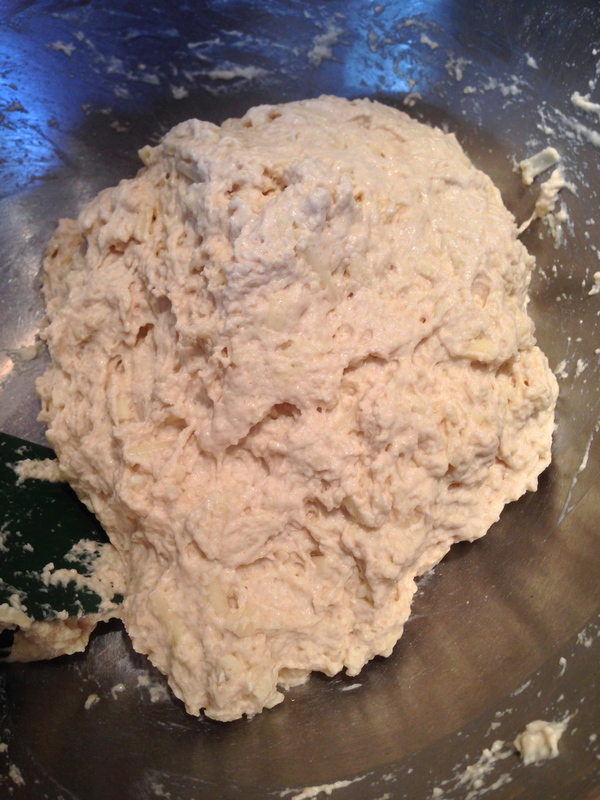 Bake for about 50 minutes, or until the bread is golden brown and the middle doesn’t jiggle around. Let it sit for a few minutes, and then eat! Perfect with soup, chili, or by itself. 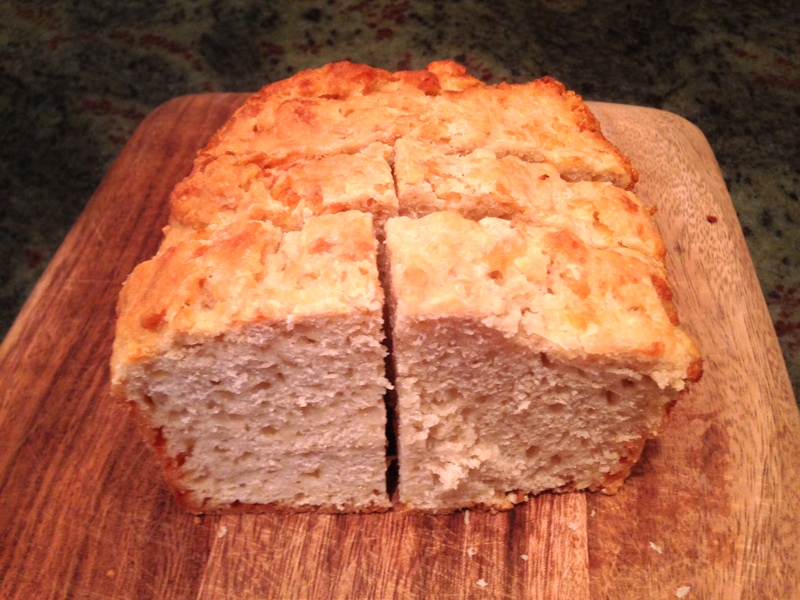 This entry was posted in Noms and tagged beer, Beer Bread, Bread, Cheddar cheese. Bookmark the permalink.